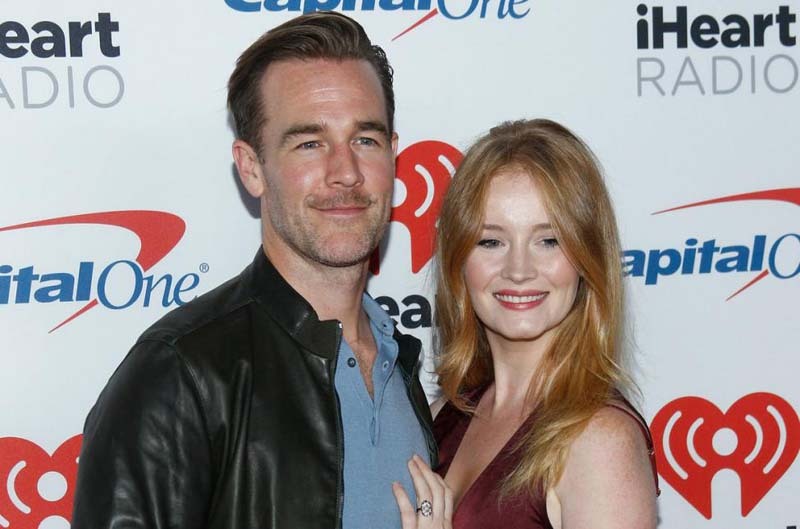 James Van Der Beek is sharing his thoughts on grief following his wife's three miscarriages. The Dawson's Creek alum said he dislikes the term "miscarriage" because it "suggests fault" with the mother. "From what I've learned, in all but the most obvious, extreme cases, it has nothing to do with anything the mother did or didn't do. So let's wipe all blame off the table before we even start," he added. Van Der Beek and Brook are parents to 7-year-old daughter Olivia, 6-year-old son Joshua, 4-year-old daughter Annabel, 2-year-old daughter Emilia and 2-month-old daughter Gwendolyn. Van Der Beek shared a photo with his four eldest children Monday during a pancake breakfast at home.